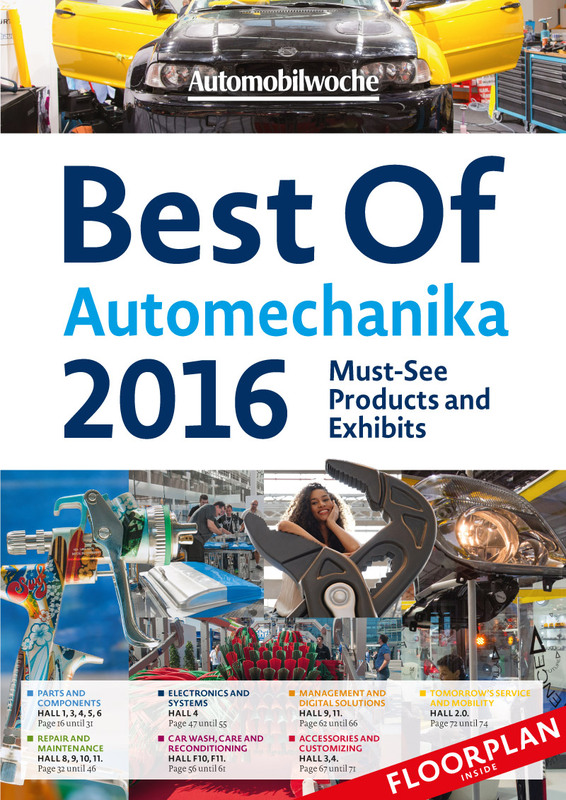 The Best of Automechanika 2016 issue provides detailed insights and a perfect overview ahead of time. The editorial staff of Germany's most-quoted auto-industry news biweekly Automobilwoche presents an exclusive look at the most innovative products & services. Following extensive research and analysis of about 4,700 listed exhibitors, the highlights of this year's Automechanika trade show are organized in seven product groups and clearly described in detail. Request your issue early and receive this informative and revealing guide on or before September 13, 2014 – just in time before the opening of Automechanika 2016.